Admission: €9 (adults), €4.50 (children aged 10 to 17) Open daily from 9am to 7pm, and Saturdays 9am to 9pm (November through March); from 9am to 9pm daily, and Saturdays 9am to 10pm (April through October). Note that the queues can be very long, but that tickets can be bought online in advance. Admission: €17 (adults), children under 18 are free. Open daily from about 10am to 6pm (until 10pm on Fridays). There are slight variations in opening times according to season - check the website for details. The Van Gogh Museum is a definitive tourist attraction in Amsterdam. Situated in a modern building, the simple architecture subtly underscores the artists' colourful and extraordinary work. The museum houses the largest collection of Van Gogh's work in the world, comprised of more than 200 paintings, 437 drawings and 31 prints. Many of his most famous and recognisable paintings are on display in this remarkable museum. The collection is organised according to three criteria: the first of these is the work of the artist, which is divided into five notable periods; then there is the display of work of other artists, including those of his friends and contemporaries; and finally the third section is the showcase of the museum's history, recording its progress with a feature on the development of the new wing designed by Japanese architect Kisho Kurokawa, built to house the temporary exhibitions. The written information provided is good and sufficient for many visitors, but the audio guide is definitely worth hiring for Van Gogh fanatics who want a more in-depth analysis. Photography of the art itself is not permitted, though visitors can take pictures in the main hall. Large bags will have to be left in the cloakroom facilities as they are not permitted in the museum. Admission: €17.50 (adults). Under 18s are free and concessions are available. Open daily from 9am to 5pm. The Rijksmuseum was opened in 1885 and is best known for its collection of 17th-century Dutch Masters such as Rembrandt, Vermeer, Frans Hals and Jan Steen. The most notable of these paintings is Rembrandt's masterpiece The Night Watch which has pride of place. The museum contains thousands of other paintings spanning from the Middle Ages to the 20th century, in its Asiatic collection, Print Room, Dutch History, and Applied Arts sections, and although it is most coveted for its paintings, the collection also includes stunning furniture, jewellery, ceramics and other artefacts. Nestled within the garden is a collection depicting five centuries of Dutch architecture. It is advisable to consult a map or purchase a CD audio tour to help navigate through the extensive collection of the Rijksmuseum and to allow plenty of time for your visit - at least a few hours are needed to explore thoroughly. Surprisingly, photographs are permitted inside, but flash photography is not. Overcrowding is a problem in the Rijksmuseum and it is best to avoid the busiest times: the museum is most crowded between 11am and 3pm on Fridays, Saturdays and Sundays. Buy tickets in advance online to minimise queuing, but note that when the museum is full even those that arrive with tickets may have to wait. The Rijksmuseum is one of the Netherlands most famous and most popular attractions and a must-see in Amsterdam; it has recently reopened after an extensive renovation project and is more impressive than ever. Admission: €15 (adults), €7.50 (children 13 to 18), children under 12 free. Concessions available. Admission costs may be upped when special exhibitions are featured. Open daily from 10am to 6pm. Fridays 10am to 10pm. Admission: €13 (adults), €4 (children 6-17). Concessions available. Open daily from 10am to 6pm. This museum provides an insight into the life and times of the famous Dutch master. Rembrandt lived here between 1639 and 1658, the pinnacle of his career. The famous artist went bankrupt in 1656 and a list of his possessions was drawn up to pay his debts; this list has allowed the historic interior of the house to be restored faithfully with exactly the kinds of furnishings the artist owned. The museum presents a permanent collection of Rembrandt's work (including etchings and sketches as well as paintings) and a reconstructed 17th-century studio, together with regular temporary exhibitions and a collection of paintings done by his teacher, Pieter Latman, as well as some of the work of Rembrandt's pupils. In the painting studio there are daily demonstrations on how etchings and paintings were made in the 17th century, including an interesting demonstration on his use of colour and where he would have gotten the paint. Although the admission cost is quite steep for a small museum, the price does include a great free audio guide and Rembrandt House is a very popular attraction in Amsterdam. An hour is enough for a self-guided tour, unless you want to linger and bask in the 17th-century time bubble. Admission: €12.50 (adults), €6.50 (children aged 5 to 18). Open every day from 10am to 5pm. Closed on some public holidays. Housed in a lovely 17th-century building that was formerly an orphanage, the Historical Museum explores Amsterdam's development from a small medieval settlement along the river into a thriving modern city. The museum's galleries showcase the progress of each century, with particular emphasis given to Holland's Golden Age. The museum provides a showpiece of Dutch Master paintings, archaeological discoveries, gold, silver, glass, earthenware and other artefacts. It is an extremely popular and interesting museum which generally receives rave reviews from tourists. Visitors should allow at least two to three hours to explore as the exhibition is large - there are also frequent temporary exhibitions. There is a pleasant little museum cafe selling refreshments which is worth checking out, and an outdoor iamsterdam display which is popular for photographs. The museum fee also covers entry to the Civic Guards Gallery. This is a glass-roofed gallery stretching between Kalverstraat and the Begijnhof, lined with portraits of Amsterdam's Civic Guards dating back to the 17th century. Admission: €10 (adults), €5 (children aged 7 to 15). Concessions available. Open Monday to Friday from 10am to 5pm; Open Saturday and Sunday, and public holidays from 11am to 5pm. Admission: €10 (adults), under 18s free. Concessions available. Open most days between 11am and 5pm, but closed for royal events. Admission: Tours: €9.50. The Peace Palace is only accessible on organised tours, which are run on certain weekends. Admission: €16 (adults), €8 (children aged 4 to 11), free for children under 3. Open daily from about 20 March to mid-May annually, between 8am and 7.30pm (ticket office closes at 6pm). One of the top attractions in the Netherlands, and the best reason to visit in the spring, Keukenhof is one of those magical places that frequently earns itself a spot on lists like 'Places You Have to Go in Your Lifetime'. A huge spring garden that is home to more than seven million tulips, daffodils and hyacinths, Keukenhof is 32 hectares of colour and fragrance. The gardens have been expertly and creatively designed and landscaped, with works of art scattered among the blooms. There are many restaurants and cafes in the grounds for refreshments and shops and stalls selling souvenirs, gardening equipment and seeds and bulbs. There are also numerous pavilions doing demonstrations on things like flower arranging and the latest trends in gardening. The main joy of the place, however, is just getting lost in the wonderland of flowers and taking photographs. 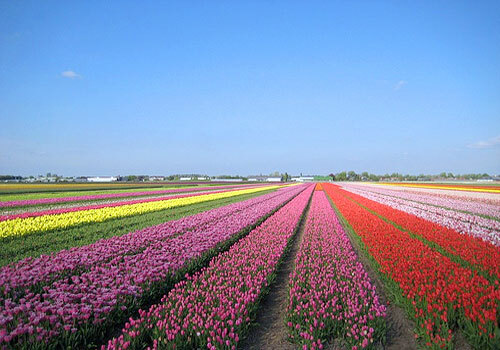 Many visitors to the Netherlands expect to see the famous vistas of tulip fields stretching as far as the eye can see; Keukenhof is surrounded by such bulb fields and it is possible to arrange cycling and boat tours from the park to explore these areas. It is best to allow at least a few hours to thoroughly enjoy the area. Admission: €15 (adults), €7.50 (ages 5 to 17 and students). Open every day from 9am to 5pm. Admission: €18 (at the door), €16 (online booking), €12.50 (children aged 12 to 17). Monday to Thursday 10.30am to 7.30pm; Friday to Sunday 10.30am to 9pm. In July and August open 10.30am to 9pm daily. One of the most popular tourist attractions in Amsterdam, and indeed in the Netherlands, the Heineken Experience is not to be missed. After opening its doors in 2001, the Heineken Experience has been attracting international beer-lovers for almost a decade. Housed in the original brewery, visitors will learn about the history of the famous Heineken Company and its unique brewing process, visit cutting-edge interactive exhibits and enjoy free Heineken beer at the two pit stops along the way. And visitors won't go away empty handed either: a gift of Heineken memorabilia is given to each visitor to ensure they remember their Heineken Experience. The site underwent major renovations in 2007 and is now better than ever. The new and improved Heineken Experience features a mini brewery, a new tasting bar and an opportunity to view Heineken's iconic Shire horses. The layout is impressive and the whole tour very sophisticatedly done - so much so that even those who aren't beer lovers should enjoy it. To avoid queues and perhaps get a reduced price book tickets online. Check out the official website listed below for more details. Amsterdam's coffeeshops are an iconic part of the city, and for many tourists they constitute a unique and essential element to any visit to the Netherlands. In Amsterdam, 'coffeeshop' means a place where cannabis is openly sold and smoked, while 'café' refers to somewhere that sells coffee, tea and cakes. The coffeeshops sell controlled amounts of marijuana to adults over 18 years of age. Travellers are warned, however, that the personal possession of drugs is illegal, if frequently overlooked; cannabis is not legal in the Netherlands, recreational use is simply tolerated if it is not socially disruptive. There are a variety of coffeeshops in the city, from laid-back and mellow to psychedelic and loud. It is expected of customers to consume not only the cannabis but also a beverage or snack while at the venue. Most coffee shops offer several kinds of weed or hash listed on a 'menu', and the staff can give advice on the different strains and strengths before you place your order. The prices vary according to the quality and be warned: the local skunk is very strong! For most of the country a law has now come into effect that makes it illegal for tourists to be admitted to coffeeshops. Most cities in the Netherlands enforce this prohibition, but Amsterdam is fighting the law and has so far managed to continue selling to foreigners; however, as the laws and social norms are currently in flux travellers are advised to check up on the situation prior to travel. Admission: €21.50 (adults); €18 (children aged 3 to 9). Concessions are available. Ticket also provides admission to Planetarium, Geological Museum, Aquarium and Zoological Museum. March through October: Open daily from 9am to 6pm; November through February: Open daily from 9am to 5pm. Locally known as the Plantage, the Artis Zoo is something of an oasis in the centre of Amsterdam and a must for children and other animal lovers. Boasting more than 700 species of animals and 200 species of local and exotic trees, many of which are on the verge of extinction, the Artis Zoo will captivate and amaze visitors of all ages. The grounds are huge and can easily keep visitors busy for hours; it is advisable to get a map to avoid getting lost or missing something you want to see. Although the zoo is best on a sunny day, there are plenty of indoor attractions and undercover areas for when the weather isn't ideal. The animals appear to be healthy and well cared for and even those who tend to get upset by seeing large animals in captivity will find plenty of attractions to entertain them, like the aquarium, butterfly house, planetarium and a handful of museums. There are several restaurants in the grounds and a shop selling souvenirs like postcards, books and toys. Tickets can be bought in advance online to avoid queues at the entrance - check out the official website below for details. Admission: Tickets range from about €37.50 to €67.50, with concessions and plenty of specials available. Open daily from at least 10am to 6pm, with extended hours in summer (July through August). Admission: €16.50 (Adults). Concessions are available and bookings can be made online. Open daily from about 9am to 8pm; there are seasonal fluctuations to opening times. Located around 30 minutes outside of Amsterdam, in The Hague, and first opened in 1952, Madurodam is quite literally the smallest city in the Netherlands, featuring hundreds of miniature Dutch structures. 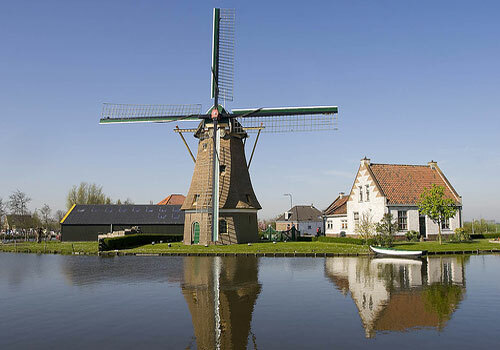 The park features houses and factories that reflect real Amsterdam architecture, exact replicas of famous Dutch landmarks, and incredible little transport systems like railways, ships and airports. Children will be captivated by the sheer genius of this little city and adults should enjoy it just as much. Like a giant toy railway with a model city, this attraction is old-fashioned, quaint and delightful, but it has recently been renovated extensively and feels brand new and impressively well-constructed and designed as well. For a small cost, usually just a few cents, parts of the miniature models will actually start working, such as trucks moving down the little highway and planes landing and rolling down the little runway at Schiphol Airport. The detail is incredible and families will have fun taking photographs and playing with scale. There is a shop and restaurants at Madurodam, but visitors should note that the restaurants have different opening times to the park itself. Amsterdam's famous canal tours are an essential experience for visitors to the city, and continue to delight and amaze tourists from all over the world. Amsterdam's UNESCO-listed canals were essential to the city's transport and defensive strategies in the 17th century, but these days their function is largely aesthetic, providing a picturesque method of seeing the historic city centre from its characteristic waterways. Tourists looking to take a canal tour of Amsterdam have two main options: the large glass-topped canal boats, which can accommodate hundreds of tourists and travel along predetermined routes; or a more personal tour, like those run by the St. Nicolaas Boat Club, a non-profit organisation. The St. Nicolaas Boat Club makes use of the traditional tuindersvletten boats (once used to transport vegetables and animals around Amsterdam), which can only accommodate 10 people per tour and which can navigate the tiniest canals and fit under the lowest bridges in the city. Tour guides in these smaller craft commonly ask visitors to nominate 10 Amsterdam sights they want to see and will construct tours around these highlights. For exercise fiends unsatisfied with simply walking around Amsterdam's historic city centre, a trip out to the Hoge Veluwe National Park is a fantastic way to enjoy the Netherlands' (somewhat limited) great outdoors. The Hoge Veluwe National Park covers an area of 55 square kilometres (5,400 hectares) and has an interesting topography, featuring woodland, heathland, peat bogs and even sand dunes. The park is home to a high concentration of fauna, including red deer, roe deer, wild boar, foxes, badgers and mouflon (a kind of wild sheep), and provides ample walking and cycling opportunities out in nature for visitors. There is even a fleet of 1,700 white bicycles which are free to rent. Also housed within the park is the St. Hubertus Hunting Lodge, a beautiful building designed by Hendrik Petrus Berlage; the Kroller-Muller Museum, which contains artwork by such luminaries as Van Gogh, Picasso and Mondrian; and a Scupture Garden. An ideal way to get some exercise and take in a bit of culture in one fun excursion, a trip to the Hoge Veluwe National Park is highly recommended for visitors to Amsterdam wanting to get out of the city. Admission: Various ticket prices depending on concert choice. Box office hours: Monday to Friday from 1pm to 7pm, and on Saturday and Sunday from 10am to 7pm. The Concertgebouw (literally, 'concert building') is one of Amsterdam's top-rated tourist attractions, and is widely regarded as one of the finest concert halls in the world, easily comparable to the Vienna Musikverein or the Moscow Conservatory. Not only is the Concertgebouw a building of rare elegance and beauty, but it features a fantastic resident orchestra and peerless acoustics, making it an unmissable experience for classical music lovers on holiday in Amsterdam. For those who aren't into classical music the venue also hosts some jazz and pop concerts. The Concertgebouw puts on about 900 concerts a year to an audience of over 800,000 people so tourists looking to take in some high culture will be spoilt for choice in terms of what to see. For those on tight budgets, bear in mind that being in possession of an I Amsterdam card can get you up to a 25 percent discount on ticket prices, and that free concerts are often given on Fridays. There are also highly recommended 'behind the scenes' tours of the graceful 19th-century building, operating on Saturdays and Mondays. For details on the concert schedule and ticket prices check out the official website listed below. Just a short, 15-minute train trip from Amsterdam lies Haarlem, a quaint city that has the distinction of boasting more museums per capita than any other city in the Netherlands. With its cosy, small-town feel and cheaper accommodation rates, many tourists are choosing to make Haarlem their base during their Netherlands vacation. It's not hard to understand why Haarlem is such an attractive choice: with its great mix of youthful energy and historic sights, its wide array of cafes, restaurants and bars, several fantastic live music venues and a bustling market, Haarlem truly caters for travellers from all walks of life. Must-see sights in Haarlem include the Grote Markt (Market Square), where 10 streets converge around the town's 700-year-old centre and - on Mondays and Saturdays - fantastic shopping opportunities abound; and the Saint Bavo Church, which contains an organ dating back to 1738 that was once played by GF Handel, composer of The Messiah. 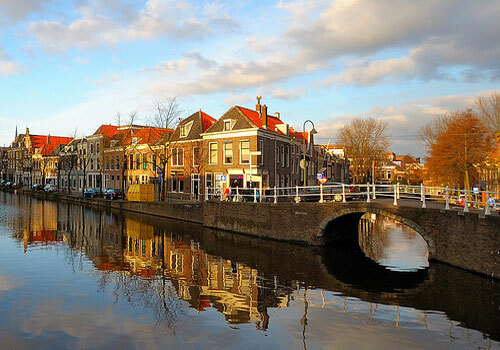 Haarlem is said to boast one of the highest qualities of life of any city in Europe, and more and more international visitors to the Netherlands are descending on the genteel city to discover exactly why. Admission: €4. Minimum age to enter is 16 years of age. Daily 9.30am to 11.30pm. One of Amsterdam's delightful secrets, this charming restaurant is peaceful and tranquil in the midst of the bustling Red Light District. An alley leads patrons to the tiny square where Blauw aan de Wal (Blue on the Quay) is hidden, a modern minimalist restaurant with a courtyard that was once part of a monastery. The fare is Mediterranean inspired and the service renowned for its excellence. Reservations necessary. Closed Sunday. Dinner only. The 'Five Flies' is one of the world's famous restaurants, oozing old-world charm with antiques and Rembrandt etchings on the Spui, and offering New Dutch Cuisine, created using only fresh Dutch products. Brass plaques on the chairs remind diners of the famous names like Orson Welles and Walt Disney who have patronised the rambling establishment that occupies five adjoining historic houses. D'Vijff Vlieghen also offers an organic five-course vegetarian meal. Open daily for dinner. Reservations advised. Contemporary and stylish, the chief attraction of the Café de Jaren is its waterfront terrace overlooking the Amstel River, in the heart of the city. It makes for a great place for a pre dinner drink, the sampling of a superb bottle of wine or enjoying a strong coffee. The menu is varied and attractive, with fare ranging from soups and sandwiches to steaks and pastas. With a classic French feel to it, the high ceilings and tiled floors of the Café de Jaren exude a refined elegance. Open daily for lunch and dinner. Amsterdam is well supplied with oriental restaurants particularly in its rejuvenated Chinatown district. One of the most popular institutions, serving a mix of Asian cuisine from Chinese, Thai and Vietnamese, to Malay and Filipino, is Dynasty. The themed interior is exceedingly colourful, the ceiling adorned with upturned paper umbrellas. A big attraction is the beautiful Canalhouse Garden, usually packed out for summer dining. Reservations essential. Closed Tuesdays. The lively Pasta E Basta restaurant has hit on a gimmick that draws customers as much as the delicious plates of pasta it serves: the waiters and bartenders sing opera arias while they tend the tables. This makes for a jovial atmosphere, where guests enjoy the excellent wine list and superb Italian fare in an intriguing environment. Bookings should be made well in advance. Open daily from 6pm for dinner. Amsterdam's most popular Mexican-style bar buzzes with warm Latin-American ambience and serves up notoriously potent margaritas along with a number of food specialities. The menu includes regular Mexican favourites like burritos, nachos and enchiladas. Fillet steak and burgers are also available and are well complimented with Mexican beer. Open daily from 5pm. The elegant Silveren Spiegel (Silver Mirror) is one of Amsterdam's best known traditional restaurants, featuring a romantic atmosphere enhanced by beautifully decorated candlelit rooms in two historic houses. Highlights on the menu include seafood and meat dishes both of which are cooked in traditional Dutch manner. A large established eatery, Café Luxembourg's affordable prices, traditional atmosphere and superb food continue to draw crowds throughout the year. With heavily wooded tables, a long, well stocked bar, soft lighting and a pleasant atmosphere, Café Luxembourg is the ideal place for a lunchtime salad or sandwich, evening drink accompanied by a mouth-watering array of snacks or a laid back wholesome evening meal. In summer patrons can people-watch from the bustling sidewalks and in winter friends and couples can cosy up with a nice bottle of red or a crisp pint. If you're looking for a great meal at an affordable price, Café Luxembourg is the ticket. Open daily from 9am for lunch and dinner. The place to go for authentic Dutch food. Greetje is located in a district that includes many beautiful old buildings, and has a great view of Montelbaanse Tower. It's known for having some of the best service in Amsterdam, and offers up traditional Dutch recipes with a modern flair. Try the taster platters for a sampling of many different dishes. Greetje is open for dinner only, from 6pm, seven days a week. At the top of a precipitous staircase, hungry visitors can pack into this tiny pancake house for tea and sustenance. This two-man operation serves up savoury and sweet pancakes at reasonable prices. There are only four tables in this charming eatery, and hundreds of teapots hanging from the ceiling. The service can be slow, but locals swear it's worth the wait. There are no health risks associated with travel to the Netherlands and no vaccinations are required for entry into the country. The water is safe to drink. The standard of health care in the Netherlands is very high, but the necessary health insurance provisions must be made before travelling. A reciprocal agreement exists with other EU countries, which entitles nationals to low-cost emergency medical treatment. A European Health Insurance Card (EHIC) is necessary for this purpose. Although medication is widely available in the Netherlands it is always best to take along any prescribed medication, in its original packaging, and accompanied by a signed and dated letter from your doctor detailing what it is and why it is needed.